Pay as little as $39 for 6 months* when choosing PayPal Credit at checkout! Scorpion adds a whole lot of "but wait, there's more" to the classic half shell with the Scorpion Covert Helmet. They start off strong with a tune-able ventilation system. Next they mix in a no-frills drop down sun visor system. One pull on a tab lowers the shades then pushing the same tab retracts them; it couldn't be easier. Snapping in a rear bottom sleeve transforms your lid into a 3/4 helmet and helps to muffle some of the cries from your lives-saving exhaust. 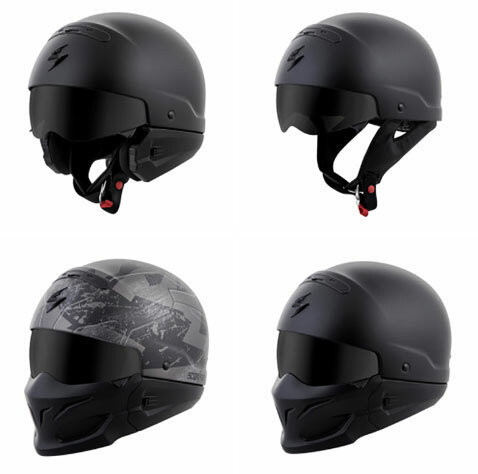 Despite the extra coverage, Scorpion's Kwikwick liner keeps your head in the game by channeling heat and humidity up to the ventilation ducts to be piped out the back. You'll be cool as a cucumber. But wait, there's more. Attaching the front mask shields your pretty face from bugs, and you-name-it debris as you're blasting down the interstate. 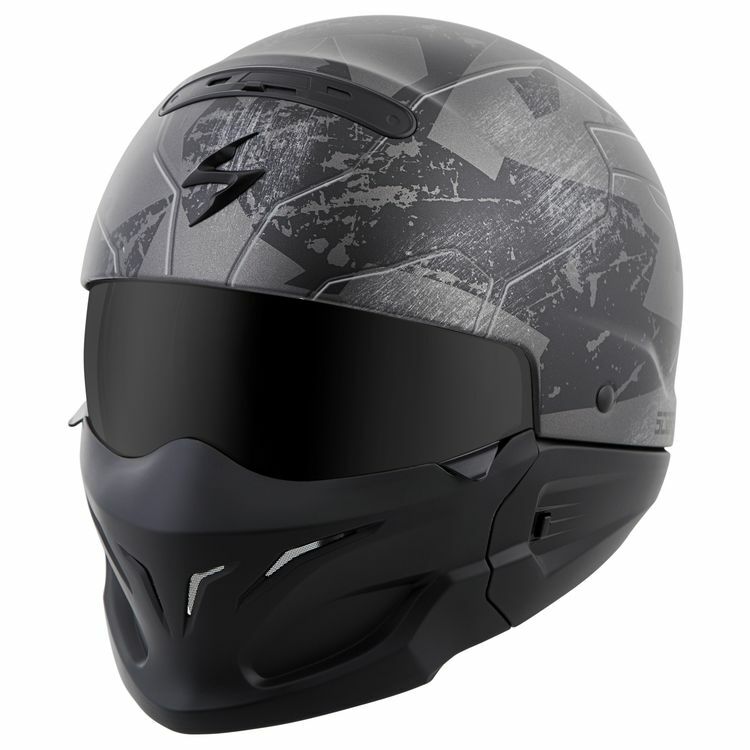 If you're one who frequently needs to transition from being seen to only heard, the Scorpion Covert is there for missions ranging from the twisties to the impossible. • DOT approved for 1/2 helmet.